Hluhluwe-iMfolozi Game Reserve is the oldest game reserve in Africa, and one of the most important game sanctuaries in the world! 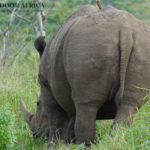 The reserve is famous for its rhinoceros conservation programme. 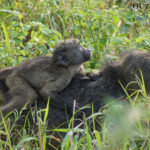 The Hluhluwe-iMfolozi Game Reserve is situated on the north east coast of South Africa, about three hours drive north west of Durban, and 30 minutes drive to the west of the iSimangaliso Wetland Park. Over 235,000 acres in size, the northern section of the reserve covers a superb piece of Zululand hill country, while the Southern section is highlighted by undulating, bush covered wilderness and savanna. Three major rivers cut through it’s valleys; the white & black iMfolozi rivers, and the Hluhluwe river. Accommodation in Hluhluwe-iMfolozi consists of two large camps, Hilltop camp in the north, and Impila camp in the south. 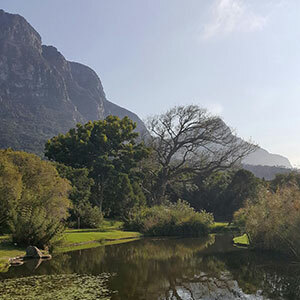 Both camps offer a range of accommodation styles, from tented accommodation to chalet style “rondawels”. 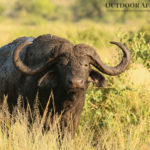 Along with these two large camps there are a number of “bushcamps” and one luxurious privately owned lodge in the north (Rhino Ridge). 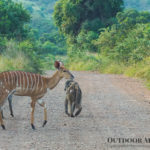 Game viewing in Hluhluwe-iMfolozi can be extremely rewarding, with excellent sightings of white rhino, nyala, cape buffalo, giraffe, zebra, elephant, wildebeest and, if you are lucky, black rhino, lion, leopard, and cheetah being a hallmark of this reserve. 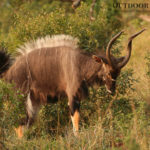 Our favorite areas for game viewing are around the Sontuli loop area in the southern section (for cats), the excellent uBhejane and Mphafa hides for some great photographic opportunities of wallowing rhino, buffalo, and elephant, the stretch from memorial gate to Hilltop camp, and the area around the Maphumulu picnic site. 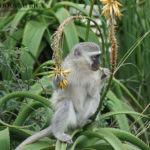 In addition to big game viewing, Birding in Hluhluwe-iMfolozi is excellent! With the varied topography and range of habitats, a list of over 340 bird species can be seen. 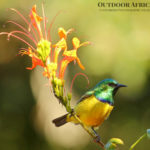 Specials include african finfoot, southern bald ibis, bronze-winged courser, narina trogon, white-fronted bee-eater, gorgeous bush-shrike, and many more. Want to plan a visit? 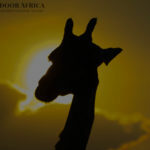 We would recommend at least a two nights stay in Hluhluwe-iMfolozi Game Reserve. Let us help you Plan Your Stay! This Game Park is absolutely beautiful and I have spent many days in awe and have been so lucky in seeing the Big Five on numerous occasions. For a real bush experience, Impila is the camp to go to. One of our favorites as well! Such a magnificent park!